Create the opportunity to optimize your position in the marketplace by bringing together your top advocates with your top prospects for a peer to peer dialog about how your products and services best address their needs. And much more! 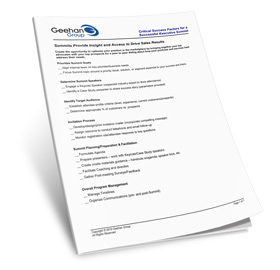 Download Our Checklist!